A culture clash exists within Israel. On one side are secular Jews who are deluded by the false notion that giving away what little land they have will bring about peace with their hostile Arab neighbors who want them destroyed. 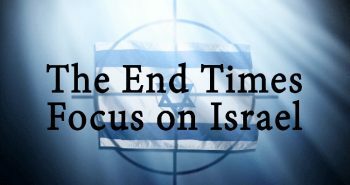 They are set against Torah-believing Jews who understand God keeps His promises that the Jews have been given a land promise. The end result is that settlers in areas such as the West Bank, Golan Heights, Jerusalem, and Gaza merely a few years ago are being forcefully removed from their homes. The perpetrators are not Arab militants, but the Israeli Defense Forces under the government’s orders. The following video interviews two Jewish settling families who have had their homes destroyed, been beaten by Israeli troops, and arrested. Of note is the racial tensions spilling over in the YouTube comments to this video. God gave the land of Israel to Abraham (Genesis 17:8) and to his descendants through Isaac (Genesis 26:2-5) and Jacob (Genesis 28:1-4,13-14). As to the effect of the Jew’s rejection of Jesus, Paul specifically addresses this question in Romans 3. He asks a rhetorical question: “What then? If some did not believe, their unbelief will not nullify the faithfulness of God, will it?” For almost two thousand years the Church has answered this question with a resounding, Yes! But Paul answers it differently. He says, “May it never be! Rather, let God be found true, though every man be found a liar…” (Romans 3:1-4). Further, Paul states in Romans 11 that the disobedience of the Jews has not nullified the promises of God to them, “for the gifts and calling of God are irrevocable” (Romans 11:29). God’s promises are going to be fulfilled to a believing remnant (Romans 9: 27). 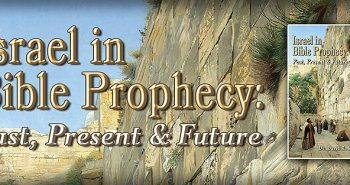 In fact, in Romans 9:4, Paul specifically states that God’s promises to the Jews are still valid. Read more about God’s land covenant! 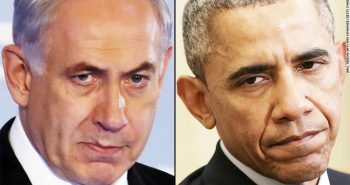 Newsmax.com is reporting Obama’s plan is to push Israel back to it’s 1967 borders which would make her defenseless. Israel is under attack from internal and external forces. 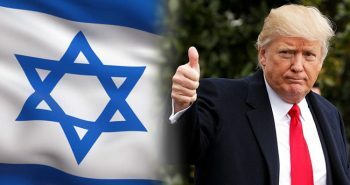 And now the enemies of Israel have an ally in the White House and the Congress. The end indeed is near. I smile when I type that as I know it means Jesus’ victory over evil is near as well.